Retina South Africa in partnership with the Division of Human Genetics at the University of Cape Town has established a Next Generation Diagnostic Panel to identify the genetic mutations causing inherited retinal disorders in South African patients. The National Research Foundation sponsored a state of the art Next Generation Sequencing machine which is able to search for genetic mutations. Customising this advanced Bio Technology to identify only the retinal blindness gene mutations has been made possible by support from the Dis-Chem Foundation and thousands of cyclists who have cycled for many years to restore the gift of sight at the annual Dis-Chem Ride for Sight. Researchers have made tremendous progress towards finding treatments for Inherited Retinal Disorders [IRD] but patients do need to know their precise genetic mutation in order to benefit from imminent therapies. Previous genetic testing was done in Europe and the UK but this new local panel will mean cheaper and faster genetic testing for South Africa patients. Last year OrCam South Africa introduced its non-intrusive AI device called OrCam which assists partially sighted, low vision and blind patients to read any text, identify faces and products by just pressing a button or pointing a finger. OrCam is small and portable and the new wireless version is only the size of a finger. 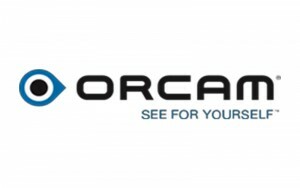 OrCam has joined forces with Retina South Africa to promote this amazing device. The AI voice reads text or gives a detailed description of whatever is pointed at- products, faces etc. They have successfully assisted employees at Accenture, ABSA and Total. They have now reached out to the Universities and are working closely with UNISA and the University of Limpopo. James Cape is now testing OrCam for Retina South Africa and is amazed at the speed and accuracy of the device. A few of the previous wired version are available at a special price of R42 000, plus vat. Remember that a portion of the cost of this device is tax deductible under Section 18 of the tax act. Contact OrCam at telephone: 011 334 1059 or email: info@orcam.org.za. 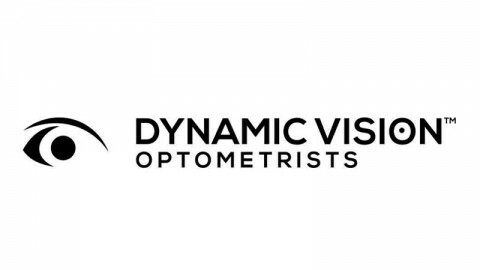 OrCam is also available at the Low Vision Center, the South African National Council of the Blind and through reference from some Ophthalmologist’s. 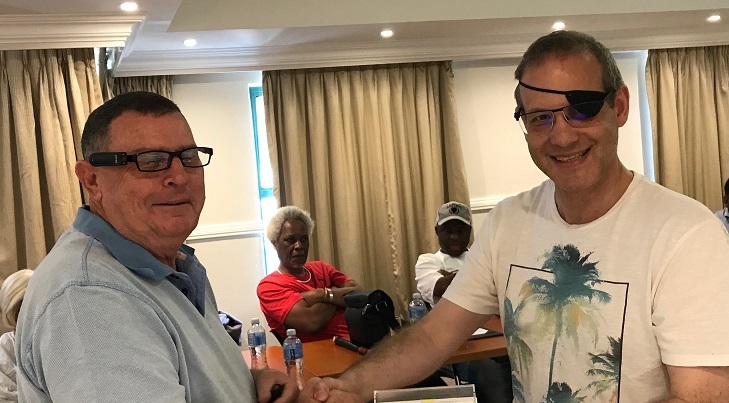 Munroe Swirsky [right] presents a demo model of Orcam to James Cape, Chairman of Retina South Africa on December 1st at the National Management Committee meeting in Bruma. 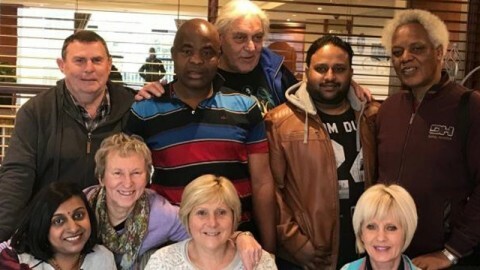 World Retina Week – 24 to 30 September this year featured the launch of Retina South Africa’s inclusion of Diabetic Retinopathy patients in our patient support services. Two successful seminars were held, one in Port Elizabeth and one in Midrand. The Midrand seminar was kindly hosted by Novartis and was live streamed via support from Edit Micro. The main message from the array of expert speakers focused on the need for retinal screening to detect early signs of retinal changes. These changes can be detected before any of the serious health problems such as vision loss, heart disease, stroke, kidney failure or limb amputation associated with Diabetes type 2. A simple fundus photograph will give patients time to drastically change their lifestyle and diet to avoid these serious complications. To find a screening center near you see www.screenforlife.co.za. ProQR has announced results of a phase 1 trial of QR-110 in patients who have Leber Congenital Amaurosis 10 (LCA10). The drug has a novel approach as it is a RNA therapy rather than a gene replacement therapy. The gene involved is the CEP290 gene which accounts for around 20% of Leber Congenital Amaurosis. The trial was conducted at the University of Iowa, the Scheie Eye Institute at the University of Pennsylvania and the Ghent University Hospital, Belgium. You can find more information about the QR-110 ongoing study at https://www.clinicaltrials.gov/. They have also announced that the FDA has cleared the Investigational New Drug (IND) application for QR421a to start the STELLAR trial. QR-421a is a first-in-class investigational RNA-based oligonucleotide designed to investigate the underlying cause of vision loss in Usher Syndrome type 2 and non-syndromic Retinitis Pigmentosa (RP) due to mutations in exon 13 of the USH2A gene. STELLAR is a first-in-human study that will initially include approximately 18 adults that have vision loss due to mutations in exon 13 of the USH2A gene. The study will be conducted at expert sites in the US and Europe. It will be a double-masked, randomized study exploring several dose levels and a control (sham injection), given as a single intravitreal injection of QR-421a into one eye. They have also signed an agreement with Ionis Pharmaceuticals to license QR-1123 (formerly “IONIS-RHO-2.5Rx”), an RNA medicine for autosomal dominant Retinitis Pigmentosa (adRP) caused by the P23H mutation in the rhodopsin (RHO) gene. 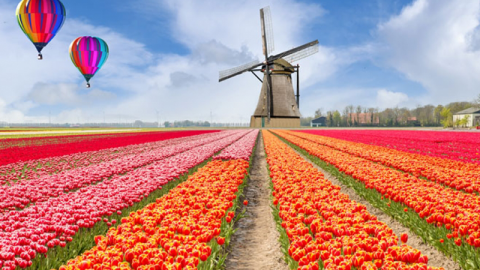 ProQR expects to start a Phase 1/2 clinical trial in patients with adRP in 2019, pending submission and clearance of the IND application by the U.S. Food and Drug. Administration (FDA). Choroideremia: A successful phase 1 clinical trial for patients with the REP1 gene mutation was announced recently. Of the 14 Patients treated, visual acuity improved in the 14 treated eyes over controls (median 4.5 letter gain, versus 1.5 letter loss) with 6 treated eyes gaining more than one line of vision (>5 letters). The trials were conducted in Oxford, London and Manchester, UK. RPE 65 Gene Therapy: The European Medicine Agency has approved Luxturna to treat biallelic RPE65 in Europe. This gene replacement therapy has already been registered by the FDA in America. The amazing CRISPR Cas9 gene editing technique has taken a huge step closer to clinical trials for IRD. Editas Medicine has announced that it has won FDA approval of its Investigational New Drug application for Leber Congenital Amaurosis type 10 (LCA10) candidate EDIT-101, enabling future clinical trials for what could emerge as the first in vivo CRISPR genome editing treatment. As a result of this development, Editas will receive a $25 million milestone payment from Allergan—who agreed in August to develop and commercialize EDIT-101 under an up-to-$40 million agreement. Professor Andrew Lotery, an ophthalmologist at the University Hospital of Southampton, will lead the UK’s participation in a £5 million study of the drug Remofuscin, in collaboration with centres in the Netherlands, Italy, Germany and Norway. The oral medication, removes the lipid – or fat – deposits, known as lipofuscin, which build up in the back of the retina in Stargardt Disease. X-linked Retinoschisis (XLRS) – Males between the ages of 6 and 17, with a confirmed clinical diagnosis of XLRS and a documented mutation in the RS1 gene. For more information, go to www.ClinicalTrials.gov and search on Identifier No. NCT02416622 or email Advocacy@AGTC.com. X-linked Retinitis Pigmentosa (XLRP) – AGTC is seeking XLRP affected males age 6 and older with a confirmed clinical diagnosis of XLRP. For more information, go to www.ClinicalTrials.gov and search on Identifier NCT03316560 or email Advocacy@AGTC.com. Achromatopsia (ACHM) – ( two trials). One is for volunteers over age 6 with a confirmed clinical diagnosis of ACHM and a documented mutation in the CNGB3 gene. The other is seeking potential volunteers over age 6 with a confirmed clinical diagnosis of ACHM and a documented mutation in the CNGA3 gene. For more information, go to www.ClinicalTrials.gov and search on Identifier NCT02599922 for the CNGB3 study or NCT02935517 for the CNGA3 study or email Advocacy@AGTC.com. Arrangements are on track to participate in the phase 2 clinical trial for the ABCA4 gene in June 2019. Eligible patients will be contacted by the trial organizers in the new year. Professor Raj Ramesar HOD of Pathology at the University of Cape Town and Principle Investigator of the RD project at the Division of Human Genetics gave an encouraging update of the research projects at UCT to the December NMC. Co-ordinator of research and services support. PhD project: “Towards identifying the precise molecular pathogenesis underlying the disease phenotype in individuals carrying a mutation in the spliceosomal factor PRPf8”. Project title “Investigation of a hypomorphic variant of the ABCA4 gene in South Africans with inherited retinal disease”. The staff members involved with Service support were: Prof Jacquie Greenberg, Sister Gameda Benefeld and genetic counselor intern Monica Araujo. 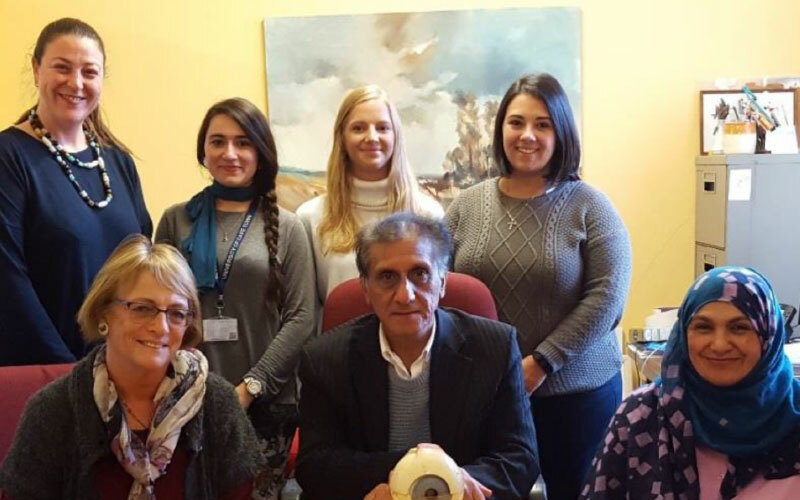 Pictured here are Prof Ramesar and his RD Genetics team. 3435 people in 1570 Families are currently reflected in the RDD Database. Mutations have been identified in 43 different genes. To date, 521 results have been delivered (+’ve , –‘ve, or inconclusive). Information has been gathered (in an “epidemiology spreadsheet”) for 1404 individuals who are not on our database, i.e who have not submitted samples for genetic research. Retina South Africa thanks Professor Ramesar and his team for their dedication to finding treatments for inherited retinal disorders. Prof Ramesar and the EXCO from left: Claudette Medefindt, James Cape, Prof Ramesar, Jean Bowler and Anton Van Rooyen. Did you know that of the current 37 IRD clinical trials 36 of them require patients to have a genetic diagnosis to be considered for inclusion in the trial. The establishment of the UCT Diagnostic panel brings genetic testing costs down considerably. 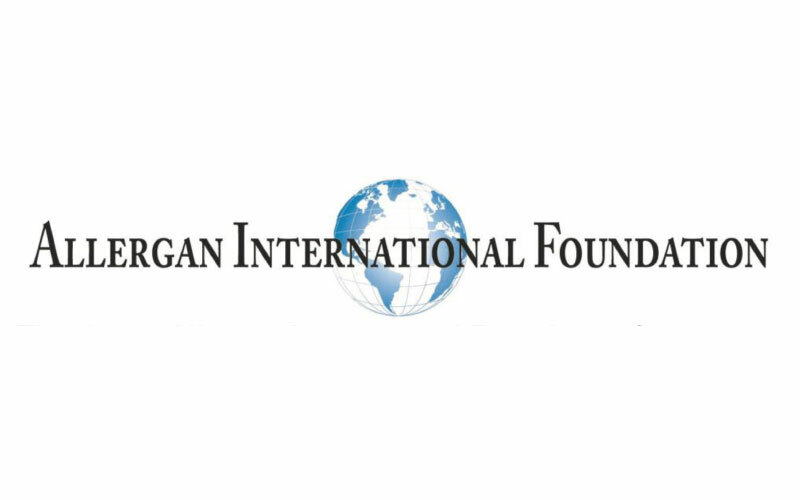 Thank you Allergan International Foundation for your generous grant towards our youth project. Edit Microsystems’ vision is to upskill people so that they can be employed and make a meaningful contribution towards a better South Africa – to live a life of dignity and self-worth – and this is only possible with education. 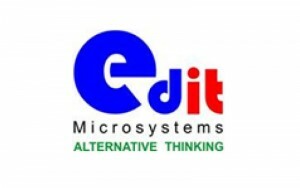 Through ongoing support and professional development, Edit Microsystems can help find the right solution for your particular environment. The Prodigi Connect 12 is the ideal solution for students of all ages. It opens the window to an intelligent Android world. Low-vision users looking to enlarge print and images, with the added benefit of instant connectivity in the classroom, will enjoy the Connect 12. Thank you to all the members who have raised funds for our research projects. Thanks particularly to the Vyncke family who have raised thousands of rands. Ask your employer to consider us as a recipient of a CSI donation in 2019. We will follow up with a proposal. Donations exceeding R250 are eligible for a Section 18a tax deduction. Nominate Retina South Africa as a beneficiary on My School/ My Planet at no charge to you whatsoever: www.myschool.co.za and remember to swipe your card. Join the Circle of Light for 2019. Simply donate R250 per year to win a monthly draw prize of R500. Thank you to all those who sold Fury Raffle tickets. The branch that sold the most tickets was the Eastern Cape. Well done. Retina South Africa raised a total of R93 000. Congrats to Sue, Jana and Tania who raised double the costs of their genetic tests, 50% of which goes directly to our research fund. Banking details: Retina South Africa, Standard Bank, Bedfordview branch, Code 018305, Account number 020312164. Please send us a copy of the eft so that we can track your payment. An extra donation to the RD research project will always be appreciated. Arrangements are going well for this, our major fund raising event of the year. We still need sponsors, prizes and a corporate team to man a water table at no charge. Please contact Linda at 011450 1181 if you can assist in any way. The Cornea bank of South Africa is desperate for donor corneas. Please contact them at 011 489 1322 or email lynne@gautengcorneaeyebank.co.za. Please note that the national office will be closed from Monday 17th December to Monday January 7th. For emergencies only contact Claudette at 0833065262. For appointments for free advice, telephonic or individual counselling contact the national office at 0860595959 in January. This is a free service to members of Retina South Africa. Retina South Africa would like to thank our members, supporters, donors, sponsors, colleagues, volunteers and staff for their assistance in 2018. We wish you all a happy and safe festive season. 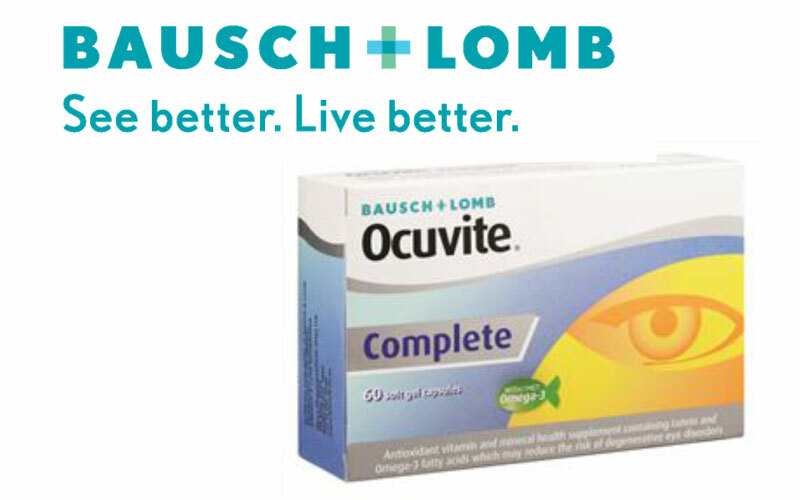 THANK YOU BAUSCH AND LOMB FOR YOUR CONTINUED SUPPORT OF OUR WORK. Reference: 1. Impact Rx. Scripted data – December 2017. Proprietary name and dosage from: Ocuvite Complete soft gel capsules. Composition: Each soft gel capsule contains fish oil rich in DHA 507,7 mg: of which DHA 180 mg and total omega-3 300 mg, lutein 5 mg, zeaxanthin 1 mg, vitamin C 90mg, vitamin E 15 mg, zinc 7,5 mg.
Bausch & Lomb Incorporated. ®/™ denote trademarks of Bausch & Lomb Incorporated. Applicant: Soflens (Pty) Ltd. Reg. No. : 1968/011787/07. 254 Hall Street, Centurion. Tel: +27 10 900 1356. www.bausch.co.za.